You know the feeling, you’re knackered from a week at work, and you cannot be bothered. Mine was the motivation to hit up Shears Yard. I’d heard good things and I spotted a deal that seemed like good value for 3 courses. 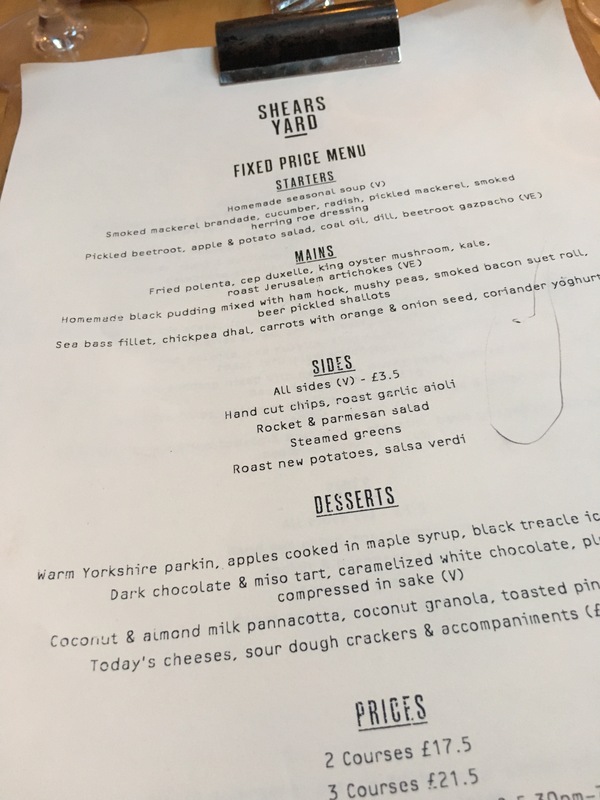 Lets start this as we mean to go on..Shears Yard is incredibly value and the food is absolutely stunning. I do not say this lightly. The ambience is beautiful, a warehouse type setting lit with hanging bulbs. It was dead when we started the night, but slowly filled up with adult families and couples. Dinig with my colleague he started with something like a beetroot soup that he seemed to enjoy but my mackerel starter was to die for. Mackerel, Cucumber, Smoked Herring Roe. I always worry in a restaurant that they wow you with their first plate and then throw distinctly average dishes at you. No such things here. 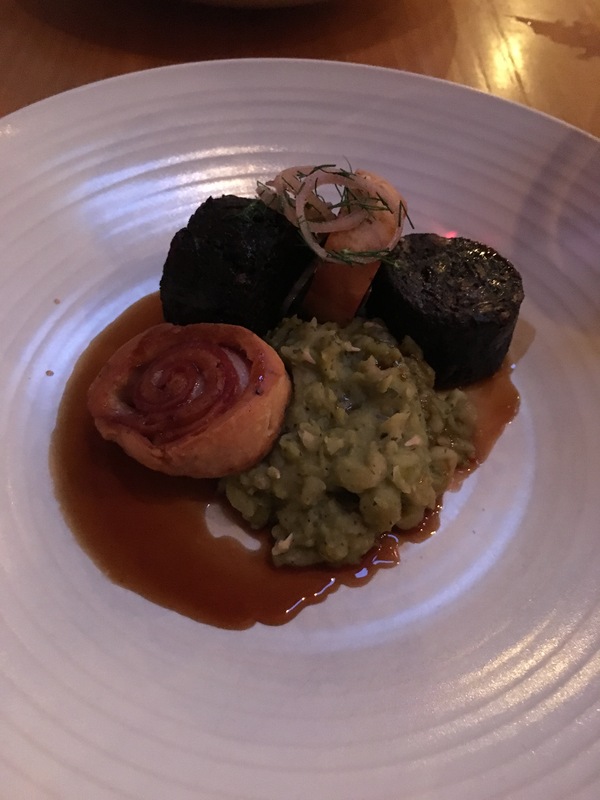 The main course, ham and black pudding with a bacon and suet spinwheel. Warming, hearty and full of flavour. Absolutely superb. Dessert. 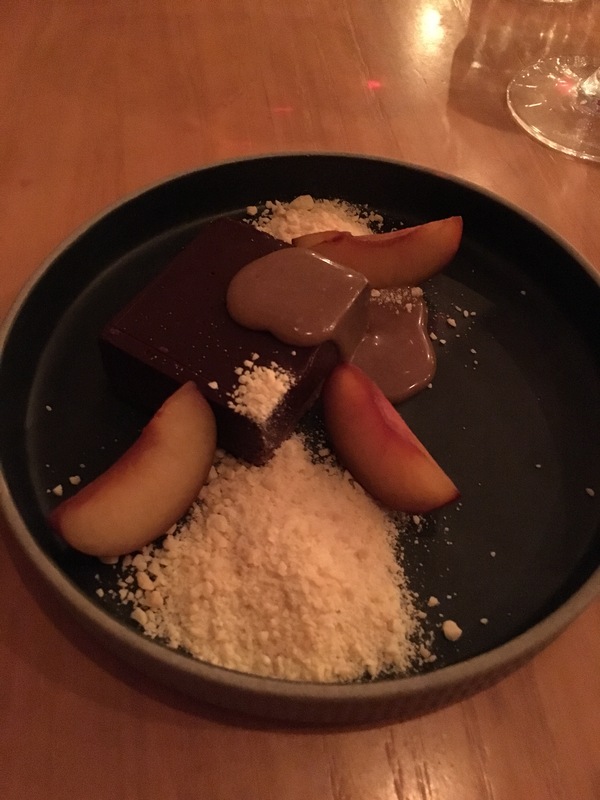 Dark chocolate and miso with white chocolate and peaches. Elegant, sophisticated and delicious. Constructive criticism? Update the website guys. Otherwise a near-perfect meal in Leeds.